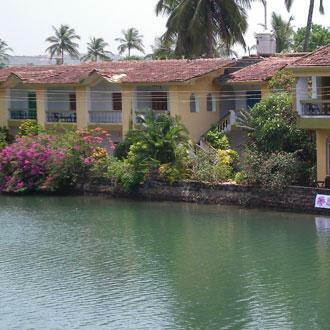 Located between the Palm-fringed Baga Hill and the Baga River, this budget hotel has 24 double bedded rooms. Guests can relish on seafood, steaks, and kebabs and salads at Salt water cafe. There is also a bar near the pool, which serves variety of exotic cocktails and choice of wines and liquors. Guests can also chill out by the pool, which is maintained with sun decks. Its proximity to the Baga River makes it an ideal place for fishing or simply a place to relax with a glass of beer.